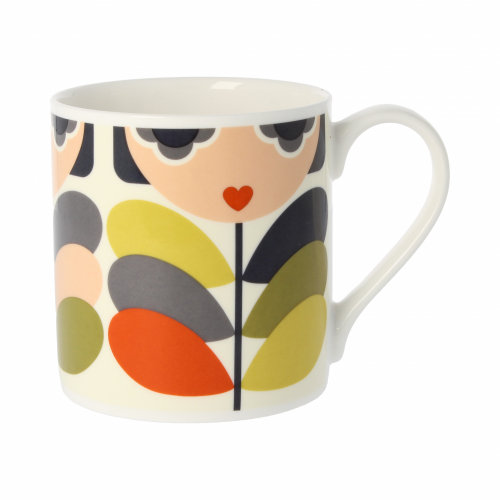 A bold and vibrant new collection from the iconic Orla Kiely. This full-colour design features an abstract 'lady' character made up of simple shapes and Orla's signature stem print. The design—in shades of olive, nutmeg, tomato, and pink—repeats around the mug on a pale cream background. This bone china is screen printed and decorated in the UK by the skilled and cheery team at MS Mugs in Scotland, then fired in traditional kilns for a superior quality and a durable finish.